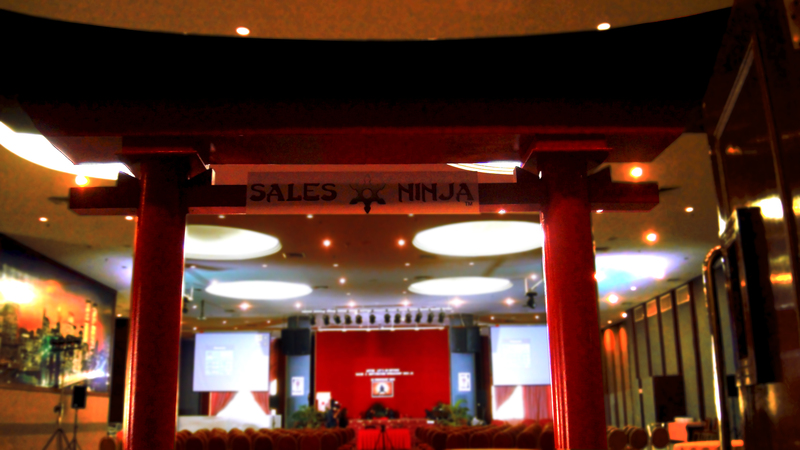 Located in Malaysia, The Sales Ninja Group is one of Asia’s fastest growing and most impactful Sales Training and Seminar company providing the latest mindset breakthrough programs and professional selling skills to transform every sales people into the ultimate sales professionals known as Sales Ninjas. We have trained small groups of 10 with critical selling skills to mesmerizing huge crowd of 1000 with our platform speaking abilities. Having trained thousands of business and sales professionals, Sales Ninja training has impacted people from Malaysia, Singapore, Hong Kong, Australia, Indonesia and Middle East. Sales Ninja Training is highly specialized in designing customized sales training modules that is aligned with your sales process, sales environment and sales culture. Vision: Asia’s #1 Sales Solution. Mission: To transform every sales people into the ultimate sales professionals known as Sales Ninjas by providing them the latest and most powerful unconventional sales strategies and mindset transformational programs that will massively increase their sales. All our training are HRDF claimable. For more information, you can contact Sales Ninja.